What exactly is an orange wine? Most white wines are made by pressing the grapes and letting the juice run off immediately, leaving no time for them to pick up color and tannin from the skins. An orange wine is also made with white grapes, but the difference is they are allowed to mingle longer with the skins. “Oxidation and skin contact result in a funkier wine than people are use to, similar to how sherry is produced, making wine drinking far more interesting,” notes Joey Ryan, partner and beverage at TU in Charleston, South Carolina. Is there a difference between orange and amber wines? In a word, no, It’s really just a matter of semantics, says Jonathan Nelms, owner of Supra in Washington, D.C., which boasts a huge Georgian wine list including a selection of amber wines. In the country of Georgia, where orange wine is common, rkatsiteli (pronounced "err-cats-i-telly") and mtsvane (pronounced "mitis-vane") are most often used, though producers are starting to vinify forgotten and nearly-extinct grapes including kisi, chinuri, khikhvi and chkhaveri (you're on your own there, with the pronunciations). “One would argue that ‘amber’ is more historical and accurate,” Nelms says. “Also, it avoids any confusion about wine being made from oranges.” (Believe it or not, it happens.) The term “orange wine” was first used by an importer in the UK to describe an Italian wine, and today it’s become the more popular term on wine lists. But it’s never used to describe Georgian wines vinified in this style. Got that? How does the way an orange or amber wine is made affect the final color, aroma, flavor and finish? What regions of the world produce orange or amber wines? In addition to Georgia, Northern Italy, Greece and Slovenia produce a fair amount. But you can also find them in France, the Finger Lakes, Long Island, Virginia and California. What is their appeal and why are they trending? There are several reasons, Nelms believes. First off is the novelty - they are quite unlike any other kind of wine out there. “And you can have this authentic experience - wine the way it was made 8,000 years ago, in the days of ancient empires, biblical days- that is new and compelling to most people.” Also, it’s different, exciting and easy to differentiate an orange wine from a white, red or even the ubiquitous rosé. And Georgia especially is having a moment, with a renewed interest in not only its wine but its food, culture, fashion, music, film and tourism. What are some food pairing strategies for orange and amber wines? How should I serve it and how long will a bottle last once it’s opened? Serve orange or amber wines chilled to 55 to 65 degrees Fahrenheit; if they are too cold you’ll mask the flavors and mouth feel. Once opened, they will keep a bit longer than a white wine because of their tannins. Kivelstadt Cellars Wayward Son ($32): Ryan calls this “a great entry level wine to nudge people in the direction of trying these more rustic styles.” A skin-fermented blend of marsanne and roussanne from Mendocino County, it tastes like a white but feels like a red, making it very food-friendly. 2014 Shalauri Mtsvane ($28): This Georgian amber wine is made in the traditional qvevri method, where it’s fermented and stored in a huge clay jar buried underneath the ground. It sees 6 months of contact. 2013 Vita Vinea Kisi ($23): Vinified in the qvevri method from the kisi grape, this full-bodied amber wine has pleasant notes of dried apricot, almond and sweet spice. Try it with herbed chicken soup, grilled wild boar or grilled trout. 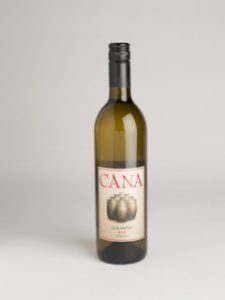 2013 Cana Vineyards Naranja Reserve ($27): Orange wine made in the Georgian amber style in Virginia? Diach! The NY International Wine Competition medal-winning winery has collaborated with the Kinne family to produce this traditional style wine aged in anforae (clay pots). The jammy and slightly herbal flavors would match well with cheeses served with quince or fig jam and wheat crackers.